The Italian-built Bravo, shown, may be replaced with a rework Dodge Dart imported into Europe from China. TURIN -- Fiat CEO Sergio Marchionne's decision to delay the introduction of new products in volume segments is causing the Italian automaker to lose ground in Europe. In two key European segments -- subcompact and compacts -- Fiat has aging products that won't be replaced soon. The Punto subcompact, launched seven years ago, won't have a successor until early 2014. Plans to replace the Bravo compact, which went on sale in 2007, are on hold and Fiat may even import the car's successor from China. The compact segment, led by the Volkswagen Golf, is Europe's second-largest segment with 3.04 million sales in 2011. 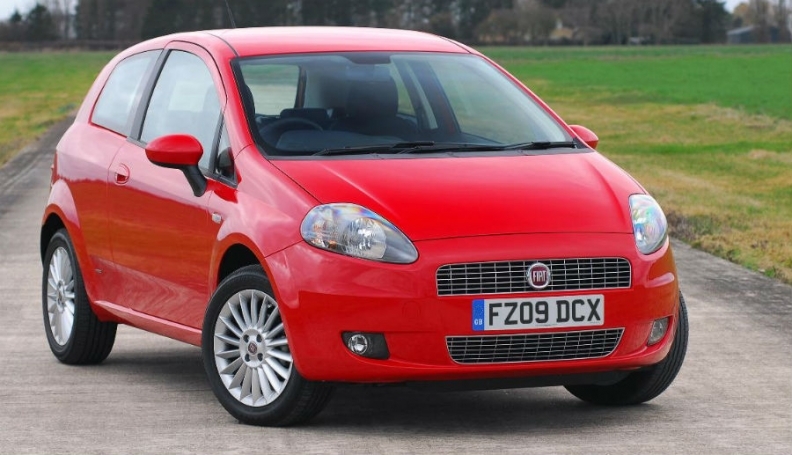 Last year, sales of the Punto, Fiat best-selling model in Europe, declined by 19.2 percent to 225,261, according to JATO. The Ford Fiesta led the segment with 374,686 sales. The Punto will come under increasing pressure as French automakers introduce fresh competitors this year. Peugeot will launch its 208 next month and Renault will introduce a new Clio in November. Before Marchionne's latest product freeze, Fiat's five-year plan, announced in 2010, called for the Punto and the Bravo to be replaced in 2013. The Punto successor's delay until 2014 has put pressure on Fiat's Melfi factory in central Italy, which is currently the only manufacturing plant for the model. Melfi has geared up for capacity of 420,000 units a year, but last year output stood at only 235,000 units. Fiat sources told Automotive News Europe that styling for the Punto replacement has already been finalized. Now it is uncertain how Fiat will replace the car. Last year, Marchionne decided that the next Bravo would not be a conventional hatchback like the Golf. Instead it would be an all-new high-roof crossover inspired by the hot-selling Nissan Qashqai. Nissan sold 218,077 Qashqais in Europe last year and has sold more than 1 million worldwide since the car was introduced in 2007. But the plan was put on hold late last year and Fiat is now considering importing the Viaggio compact car to Europe from China. The Viaggio (the Italian word for journey) is a reworked version of the Dodge Dart, which is based on the Alfa Romeo Giulietta. The Punto is Fiat's best-selling model in Europe, but its replacement has been delayed for another 12 months. Most of Europe's volume brands lost ground last year. VW was the exception. Below is the percentage market share for the top brands in the EU and EFTA countries for 2011 with 2010 figure in parentheses. A Viaggio sedan will debut at next month's Beijing auto show. Fiat also plans to launch a hatchback version of the Viaggio in China in 2013. The hatchback could be exported to Europe to replace the Bravo, company sources told Automotive News Europe. The Bravo is currently built at Fiat's Cassino plant in central Italy, along with the Alfa Giulietta and Lancia Delta. The factory has as an installed capacity of 300,000 units a year but last year built just 130,000 units, 30,000 of which were Bravos. The Bravo was No. 22 in the compact segment by sales last year with volume down 27.5 percent to 31,814. By contrast, VW sold 484,956 Golfs, selling more units in a single month than the Bravo did in the full year. In the first two months, Fiat-brand sales in Europe fell 18.3 percent to 95,482 units, according to industry association ACEA. This was a bigger fall than the overall market decline of 7.8 percent. Fiat's market share shrank to 5.0 percent from 5.6 percent. In Italy, which accounts for 53 percent of all Fiat-brand sales in Europe, overall new-car sales fell 10.9 percent last year and 17.7 percent in the first two months.